We’re almost a week into 2014 and I haven’t finished a book yet. This needs to change. Bout of Books would be the perfect way to help me jumpstart my reading. to finish the four books I’m currently reading. to read every day. I need to get back into the habit of daily reading. The Goldfinch by Donna Tartt – I’m about halfway through. You would think I would have finished one of these books by now. Instead, I’ve been doing things like watching Fringe and X-Files season six on Netflix and playing Just Dance 2014. Have some priorities, Vasilly. I would have taken a picture of my books but it’s 5:30 in the morning and no coffee in sight just yet. The pictures will come later, I promise. 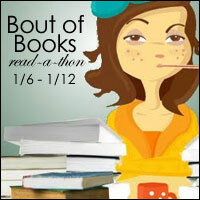 Are you joining the Bout of Books event? Guys, I’m starting to think I’m hopeless. I started another book instead of finishing one that I’ve already started reading. 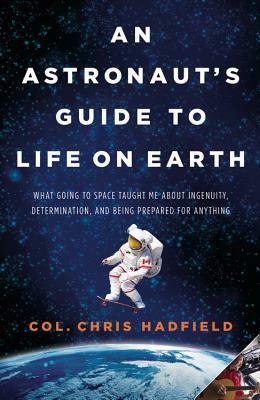 Actually, I started two books yesterday: An Astronaut’s Guide to Life on Earth by Col. Chris Hadfield and The Perfect Score Project by Debbie Stier. Both are pretty good so far. But today, I’m going to buckle down and read The Golden Day, one of the books on my stack. I have a few things to do outside the home today so I’m bringing it with me. Wish me luck. I’m going to need it. You guys! I finished a book! Finally! Trying to do Bout-of-Books the same week that school has started back, hasn’t been a great idea but I’m making progress. I finished The Golden Day by Ursula Dubosarksy. It was a quiet but good read. It’s been labeled as YA but it’s really an adult book. I’m write more about it next week. Now I’m on to continuing another book I’ve started: To The End of June: The Intimate Life of American Foster Care by Cris Beam. After multiple renewals, it’s due back at the library Tuesday. If you’re doing Bout of Books, how’s your progress going? I have 4 days off this week. Readathon sounds like a great idea! 5 days in and I finally finished my first book. Good luck with your reading. Your priorities sound good to me, hah. I’m hoping this readathon is going to help me refocus. Like you said, I need to get back into daily reading. I read almost everyday, but I definitely don’t use lunch hours and evening hours to their utmost. This will be my first Bout of Books, too, although I’ve previously done other week-long readathons. I’ve managed to not finish any books yet, either, as I’ve been hopping promiscuously between 4 of 5 titles all week. Have fun! I need to get back into reading daily as well. lol about watching X-Files on Netflix! I’ve been watching it from the start with my daughter. Soooo happy she enjoys the series too. Good luck for the readathon! I think you have some great choices lined up. I love Sharon Creech’s books! I hope you get them all finished and maybe an extra or two! I feel AWFUL if I don’t read at least for an hour during a 24-hour time period, but there are days when it just doesn’t happen. I haven’t finished a book yet, either! First time as well. Good Luck to you! Congratulations on finishing one! I hope you have a good week too. I hope you make it through the books you’ve planned to read! Good luck with your goals!! This is my second time participating and I’m starting out the week with some short books & graphic novels to really feel successful to begin with!! I just stopped by Molly’s blog and now I have a little more insight into why I shy away from big book….I’m a scanner. I want to have lots of short intense experiences rather than one long one. Hope you had fun reading last week! How’d you do?